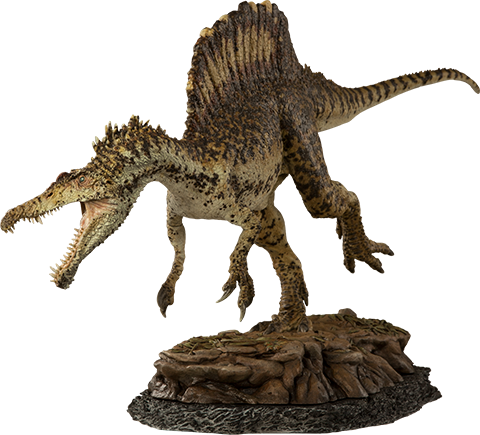 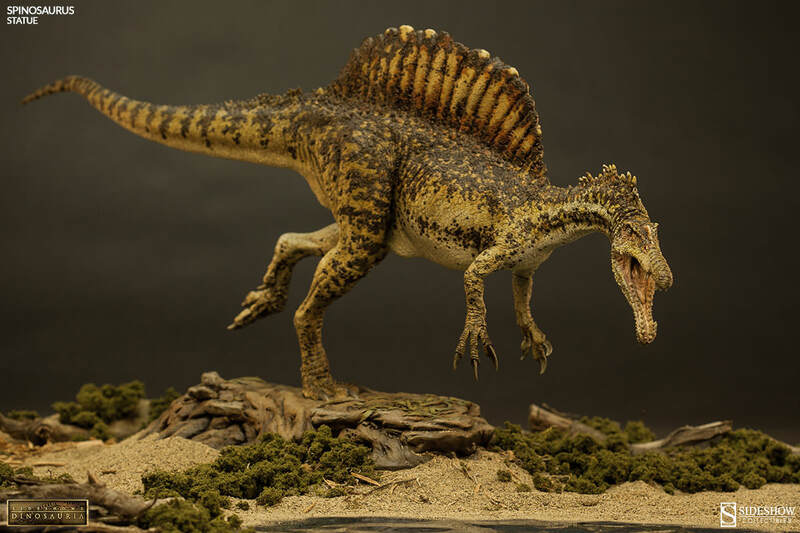 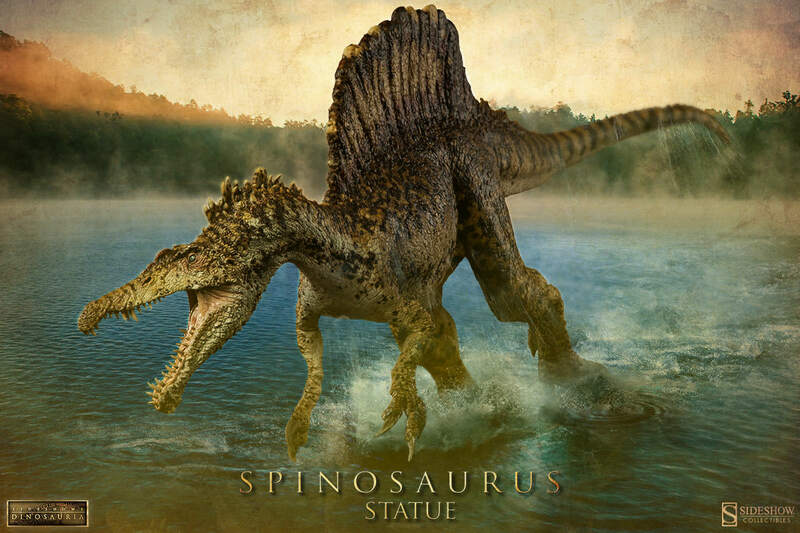 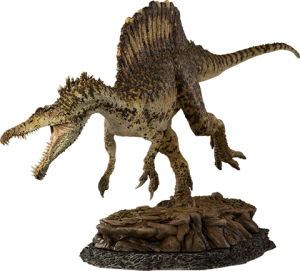 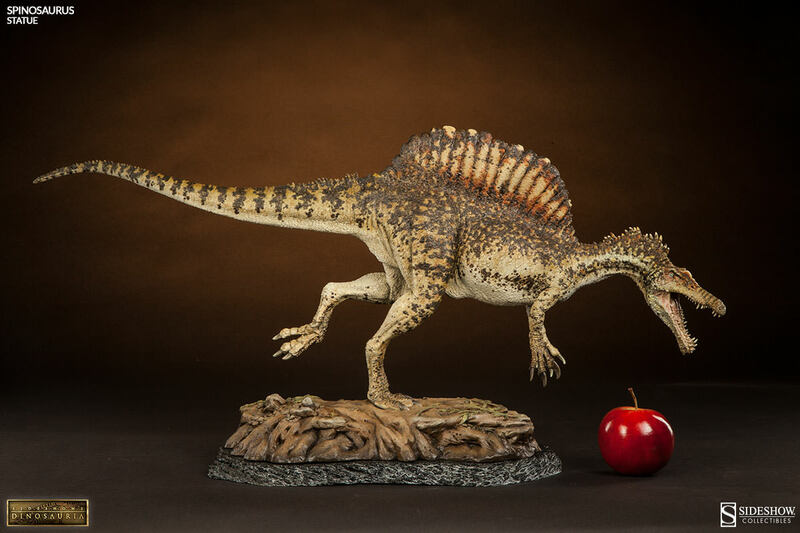 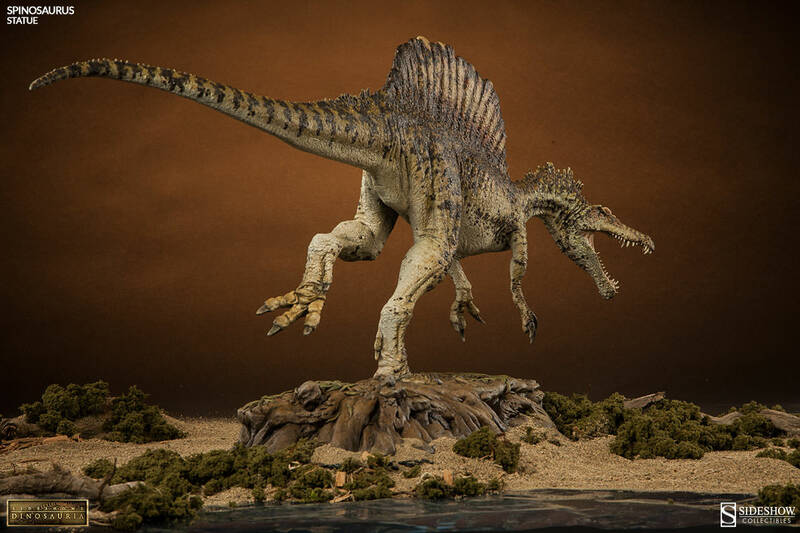 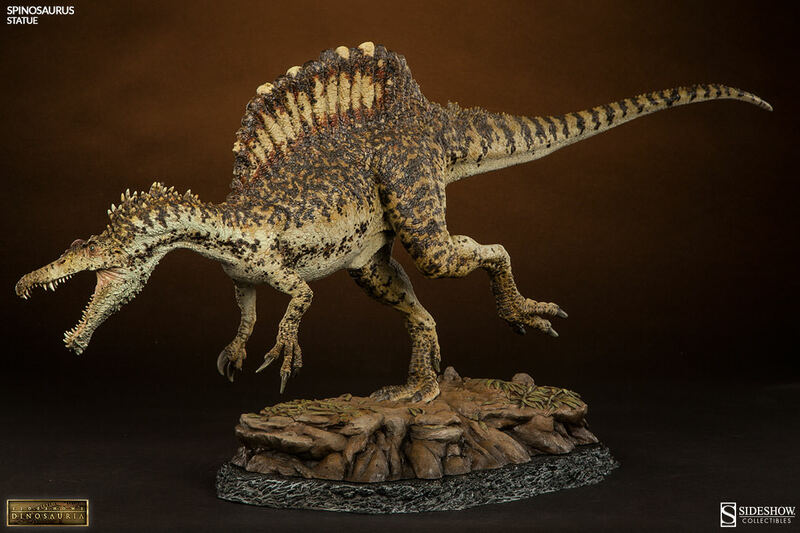 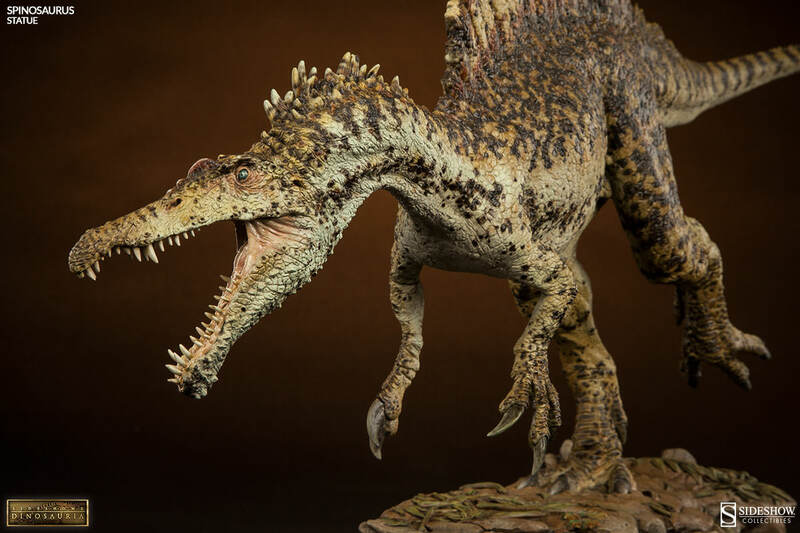 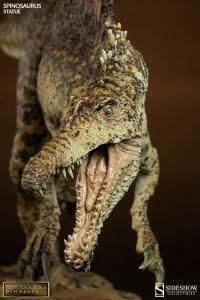 Sideshow Collectibles is proud to present the Spinosaurus Statue from our acclaimed Dinosauria collection. 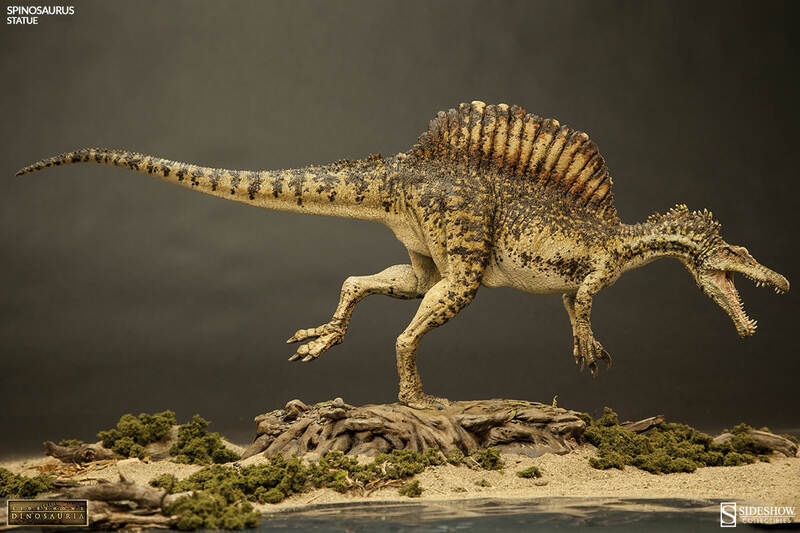 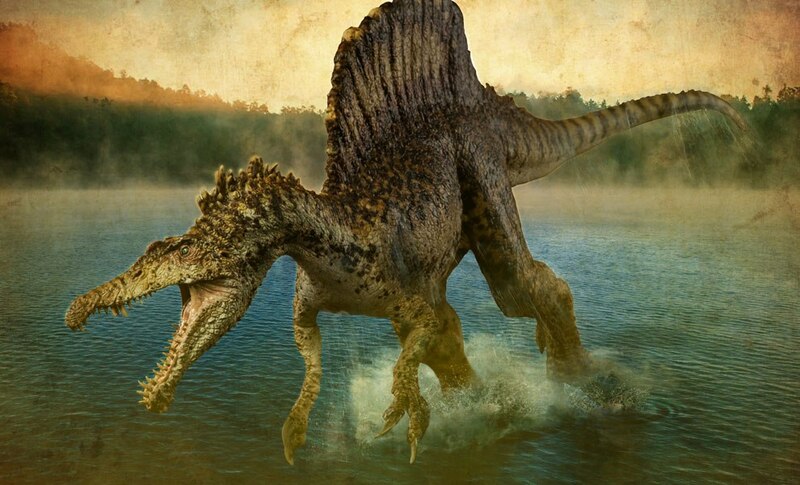 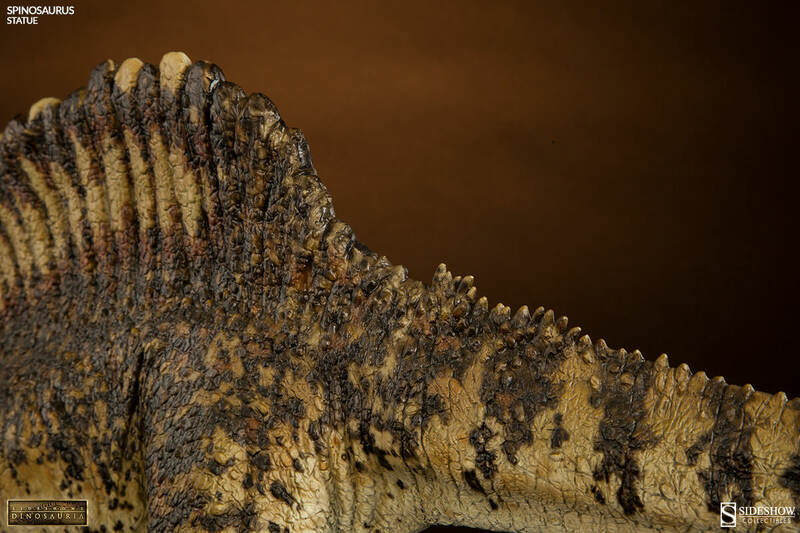 Thought to have been one of the largest carnivores ever to walk the earth, the Spinosaurus boasts a magnificent sail of spines and ferocious crocodile-like jaws. 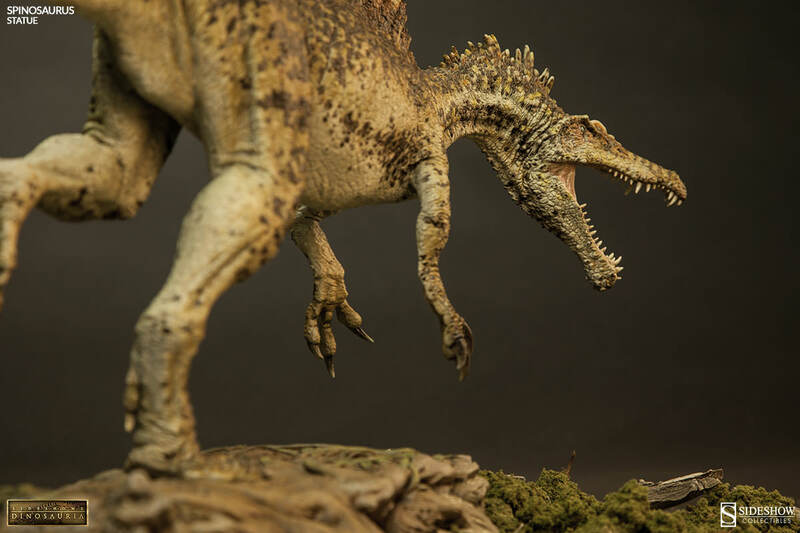 Designed with the insight of renowned paleoartists, Sideshow’s artisans have captured grace and magnitude of the bipedal creature as it lurches into an aggressive maneuver. 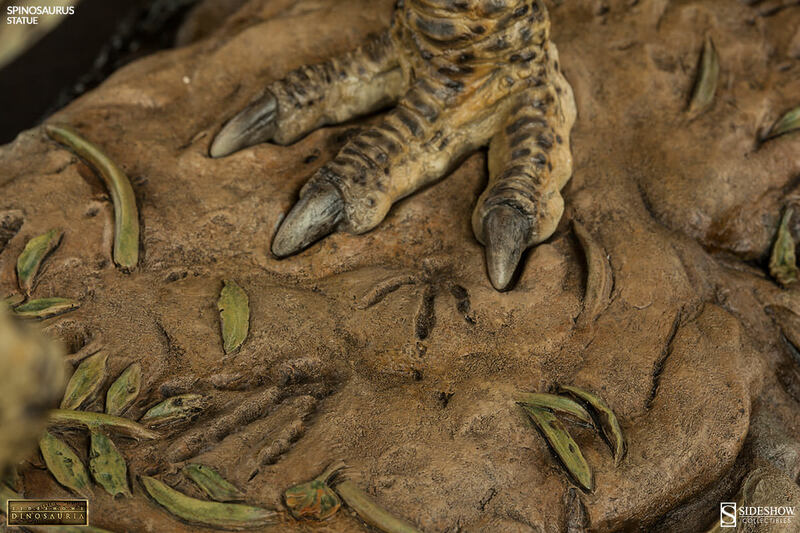 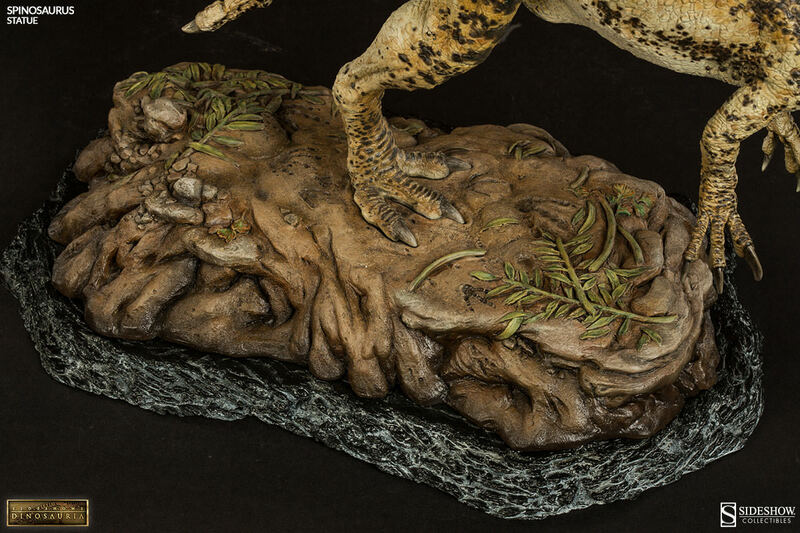 Cast in high-quality polystone on a themed base, this impressive museum quality piece is guaranteed to capture the imagination of dinosaur enthusiasts.